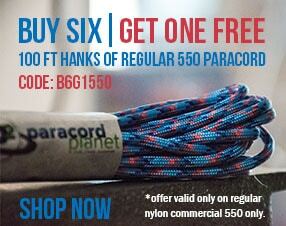 If you've been crafting with paracord for a while I bet you've found certain trends you like. Whether that be adding accents, using different cord than traditional 550 cord, not using buckles, or sticking with wider bracelets. A lot of times people find their niche and stick to it. And there's nothing wrong with that! I've come to realize, I like doing bracelets that involve the Cobra Weave. This blog is the third edition of my "Paracord for Beginners: 5 Easy Variations on the Cobra Weave" series. You can see Part One and Part Two here. These two blog posts include such weaves as the King Cobra, Thin Blue Line, Solomon V Bar, and Cobra Belly Bar. Now that you know the basics, lets dive into some EASY variations on everyone's favorite weave. Next up is the Solomon's Tongue Paracord Bracelet. I think this one is particularly cool with Rainbow 550 Paracord. 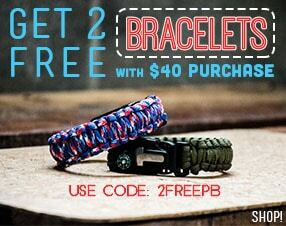 Lastly, we have the King Snake Paracord Bracelet. This combines the Cobra and Curling Millipede Weaves. What other weaves would you add to this list?